Whether you’ve listened to podcasts since *before* Serial was cool or are brand new to the radio hour of our day, podcasts are an amazing resource for 20 somethings. If you are trying to learn a new skill (like starting a business) or just have a fascination with all things true crime, podcasts are a free and easy way to elevate your alone time. Plus, they’re run by people of all different ages and demographics with tons of different experiences, which helps me be more productive! Long story short, podcasts for 20 somethings are on the rise & becoming more popular. For me, podcasts have been an amazing way to learn new skills. I feel like I’m watching a Netflix true crime TV show and find clarity in my work life. So I want you guys to fall in love with them too! 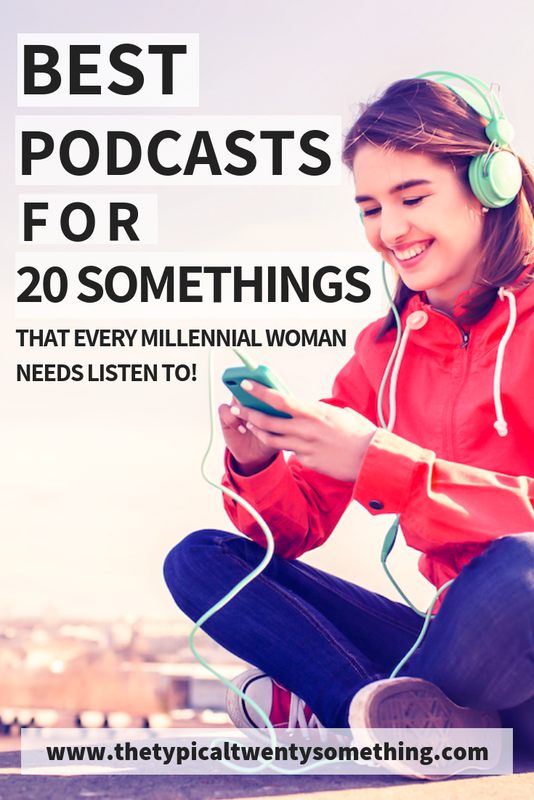 Here are 8 of my favorite podcasts that every 20 something should listen to. What are your favorite podcasts? The LadyGang is veterans to the podcast world, they’ve been sharing their hilarious jokes in our ears for over two years. In addition to their E! reality show in its first season (it’s GREAT, btw), the three ladies share life tips and answer reader questions on every podcast episode. One of the things I love the MOST about The LadyGang is that they truly are so authentically themselves, which has shown me how to love myself (despite any funny flaws) that I never thought was possible. For any 20 somethings that are feeling lonely or craving some laughs, this is the perfect podcast for you. Bonus tip: Any lady problem you may have is likely discussed and answered on this show! 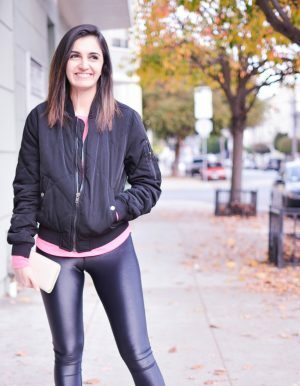 The Skinny Confidential is one of my favorite websites for all my skin and healthcare needs – I was so excited when Lauren and her husband, Michael, started a podcast together. On the podcast, Lauren and Michael bring in guests to share tips about skincare, healthcare, self-care and business. I absolutely always end up laughing while listening to them talk, and have to keep a running list in my phone of all the tidbits Lauren gives on skincare – they are SO good and not expensive at all! Lauren and Michael bring on guests including Heather McDonald and Dr. Dennis Grossman. I absolutely love how much I learn while listening to TSC and I can’t wait to hear what you learn by listening as well. Becca and Tayna were longtime best friends who started a podcast together. Scrubbing In is one of the most relatable ‘girl talk’ podcasts I’ve ever listened to. I quickly became a massive fan! They are not only so relatable with their online dating (and dating in general!) stories, but they discuss everything from young adult friendships to how to succeed at work. I feel like I’m talking to my best friends when I listen to Tayna and Becca. I am so grateful for all the life advice they are able to share. Because Tayna is also on the morning show with Ryan Secrest, there’s no shortage of amazing guests who pop in to chat on the show (including Ryan himself at one point)! If you want a weekly dose of pop culture, Comments by Celebs is the most hilarious podcast all about, you guessed it, the comments celebs post on Instagram. In the last few years, the culture of celebrities commenting on each other’s posts on (if you don’t watch Kelly Ripa & John Mayer do this you’re missing OUT). If you haven’t checked out the CBC Instagram page, you’ll see why they’ve quickly grown to over 800K followers. Their podcast no only keeps me up to date in all things celebrity and Kardashian news, but also makes me laugh and takes my mind off all the not as happy things going on in our world. If you’re a 20 something looking for a chilling true crime podcast that you ACTUALLY won’t be able to put down, this is the podcast for you. The First Degree is one of the most innovative true crime podcasts, here’s why: they don’t just tell great true crime stories, they tell them WITH someone who is one degree away from the case itself. Spooky, right? The podcast is run by Jac Vanek (also on The LadyGang) and Billy Jensen, who helped crack the Golden State killer case! For any Kaitlyn Bristowe fans (massive Bachelor fan over here!! ), this podcast will not only make you laugh but make all of your reality TV dreams come true. 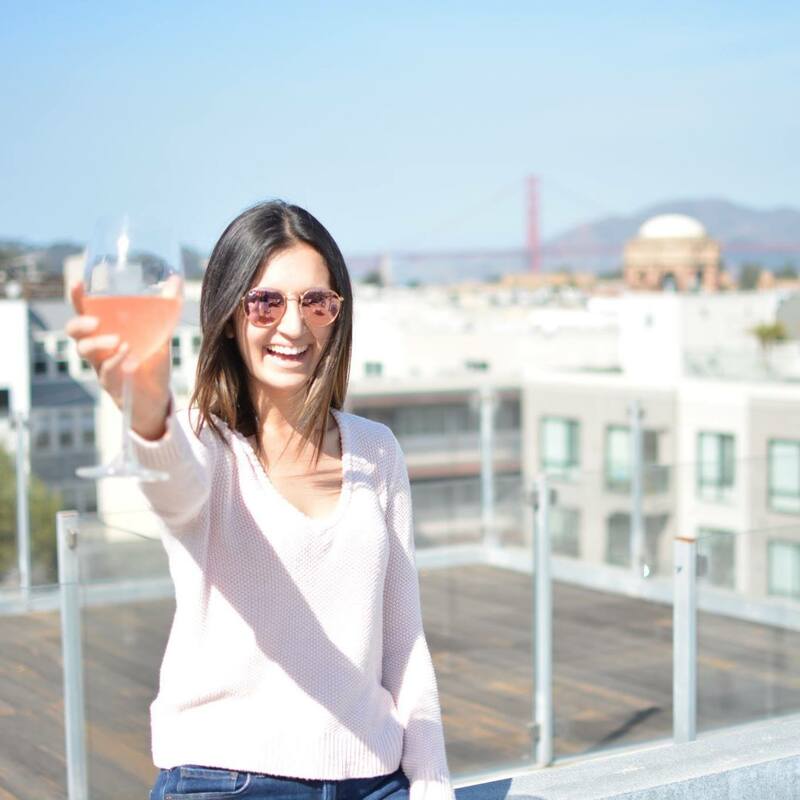 This podcast is perfect for twenty-somethings because Kaitlyn is so carefree and reminds you that no matter what happens in your twenties: everything will be OK.
On her podcast, Kaitlyn interviews her friends and other industry guests about their lives and how they go to where they are now. After listening to the podcast, I always am reminded that you can really accomplish – and come back from – anything. That’s one of the many reasons why this is perfect for 20 somethings. This podcast is amazing for 20 somethings because it just gives you another perspective on the universe, which we really all need! If you want to laugh while getting amazing advice, the Betches podcast is for you. 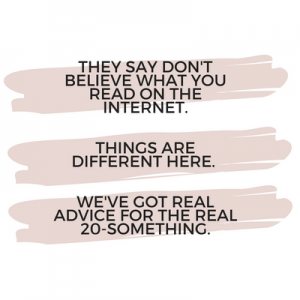 Betch Slapped talks about pop culture, gives career advice and friend/relationship advice for 20 somethings! I actually write for Betches website too and I absolutely love their sarcastic style and relatability! Every 20 somethings can learn something about career and friendships (and just growing up) from this podcast! What are your favorite podcasts? Comment below!